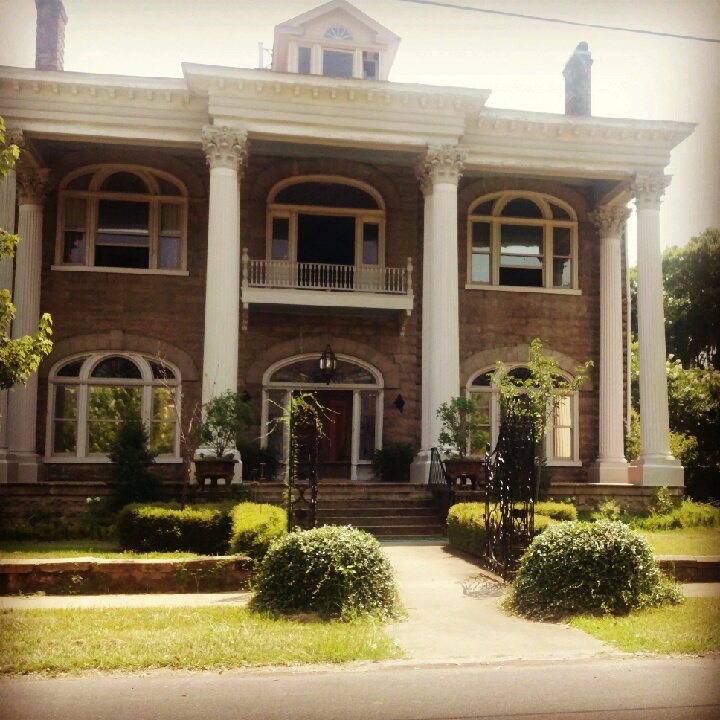 A monumental historical event is about to occur in Selma, Alabama. Selma is all the rage right now, Oprah does a movie and the world notices. 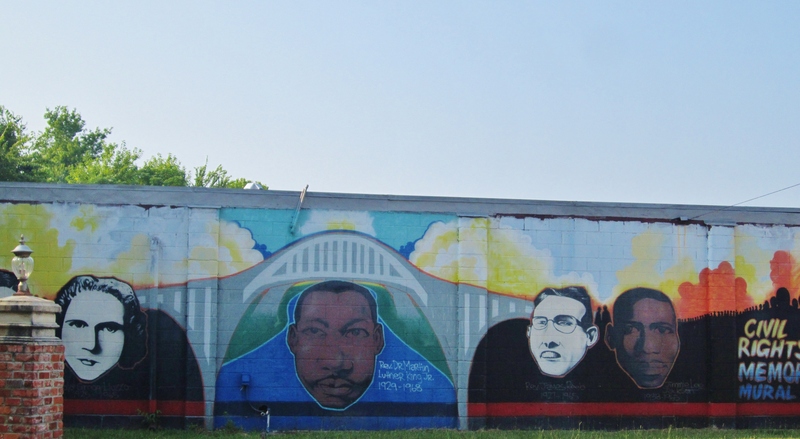 One day, a few years back, luck took me to Selma and I had a few short hours to experience Selma. Hate, courage, fear, triumph and hope. 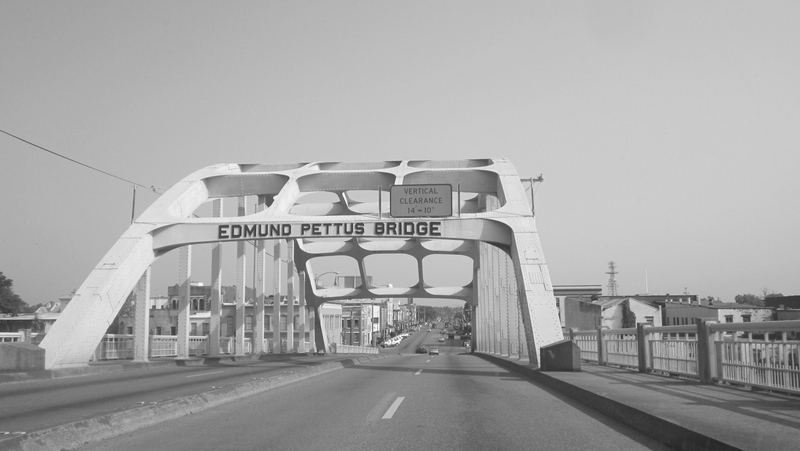 This March, 2015 marks the 50th year anniversary of another time when Selma, Alabama was in the national spotlight. Mass demonstrations were held for the purpose of voting rights for African-Americans. 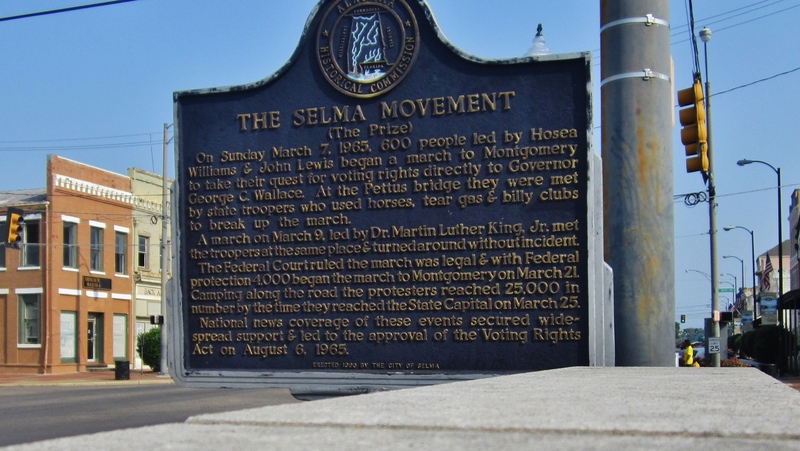 A march from Selma to the Alabama capital, Montgomery on March,21,1965 was led by Dr. Martin Luther King. The events which took place during this time led to the passage of the Voting Rights Act of 1965. Check out the history and stories behind the culmination of events. Visit, saunter and change. Selma’s song is both ugly and beautiful. The name Selma, means a throne or high seat. 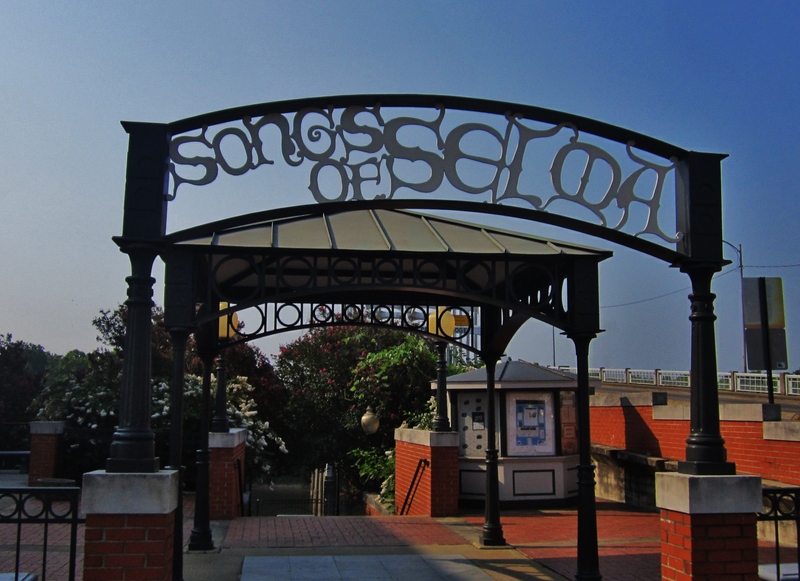 Taken from a collections of 13th century poems “The songs of Selma.” On the banks of the Alabama River and located next to the Edmund Pettus Bridge, this park is a great spot to begin this tour. For my USA friends who are non alien beings, most of us have seen photos. Great place to stand and think. On Tuesday March 9th, 2000 “Turnaround Tuesday,” peaceful marchers marched over the bridge where the previous Sunday’s blood was shed. Leaders knelt down to pray and turned around. Later that evening, one of the leader’s named Rev. James Reeb was killed by an attack on a Selma street. 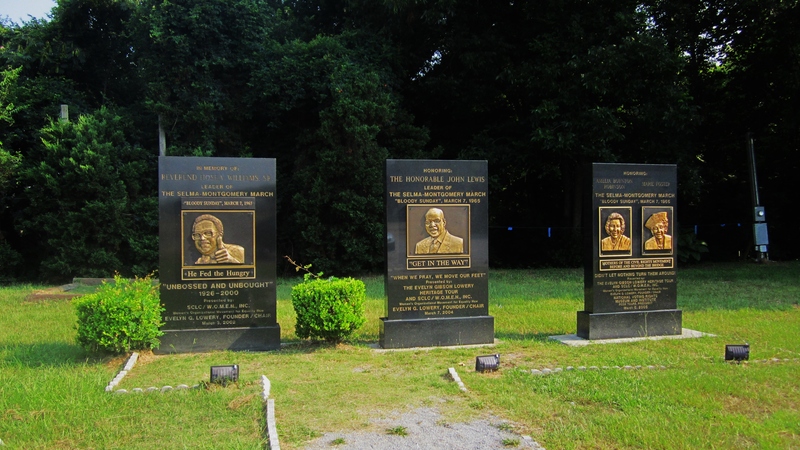 There is a park near the Voting Rights Museum that commemorates Rev. 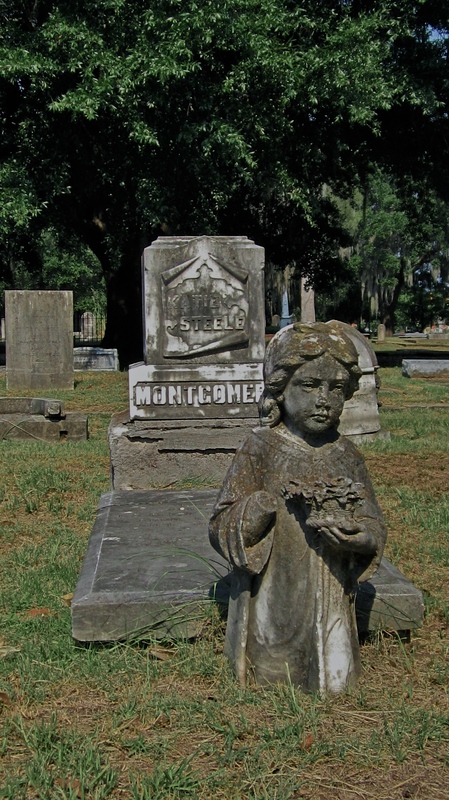 Reeb and others who died in this quest for basic rights under the 15th Amendment. After Turnaround Tuesday, the injunction against the marchers right to protest was lifted, leading the way for the historical march on March 21. 4000 people left Selma for the 54 mile march to Montgomery. 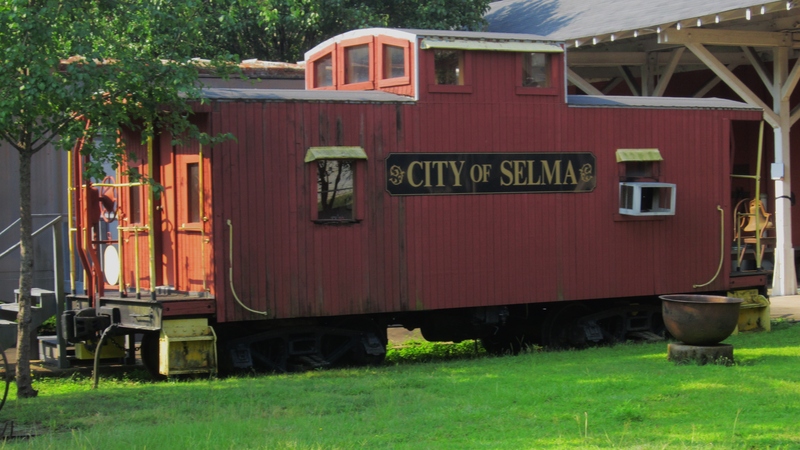 Other things to see in Selma include; historical neighborhoods, architecture and more. 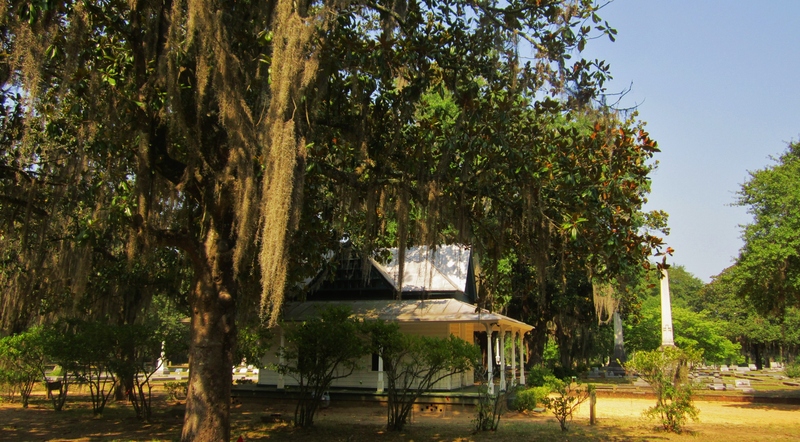 Historical significant buildings. 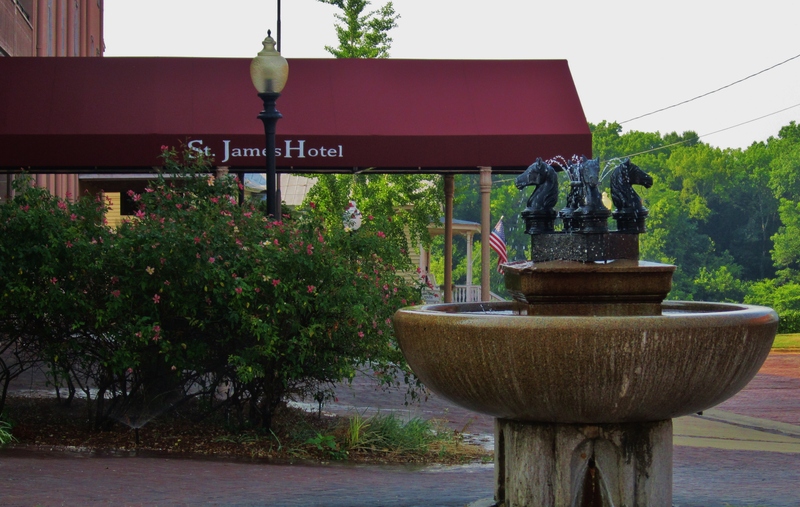 This is the only existing example of a river hotel left in the State of Alabama. 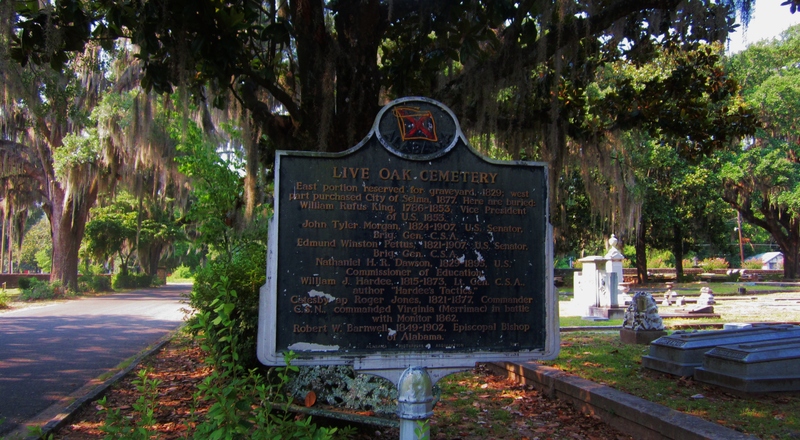 Live Oak Cemetery is on The National Register of Historic Sights. Bucket list in a bucket list! My pick for a must see. WTH? Is it on someone’s mantle? 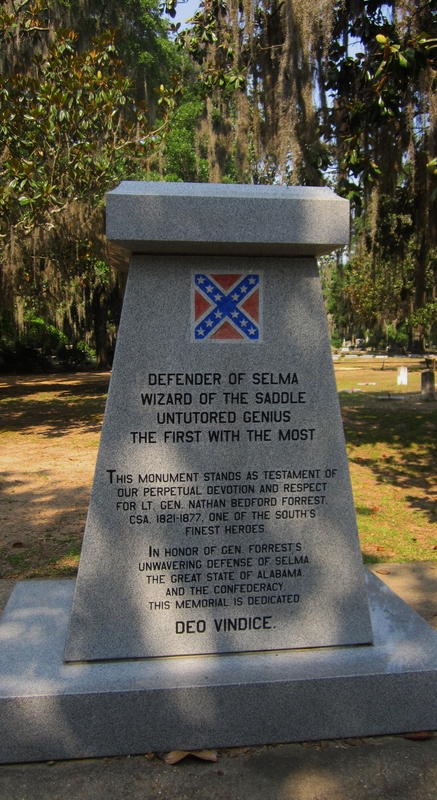 In 1865, one of the last Civil War battles was fought in Selma. 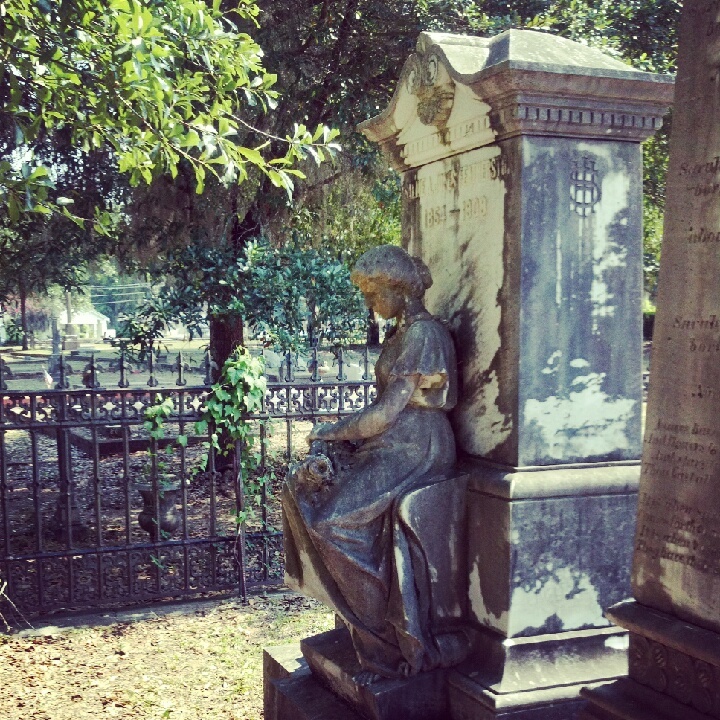 One of my friends recently summed up her take on the cemetery as “A Quintessentially Southern Cemetery.” Suffragettes, artists, soldiers and leaders. This place has it all. Megatips- If you can get to Selma-Do it! Check out Lemon Pie at Downtowner and New York Strip at Tally-Ho. Both places are on the list of 100 Dishes To Eat In Alabama Before You Die. I was not playing this game when I visited and can’t wait to try. 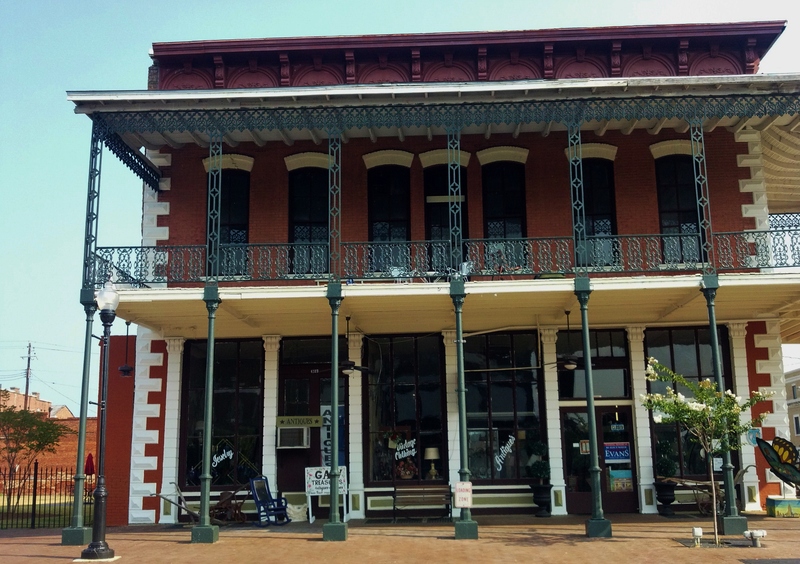 Make sure to make your first stop at The Visitors Center on Selma Avenue. The Park Contact Station at 816 Selma Avenue can help guide you and answer questions. Great walking maps and informational pamphlets. 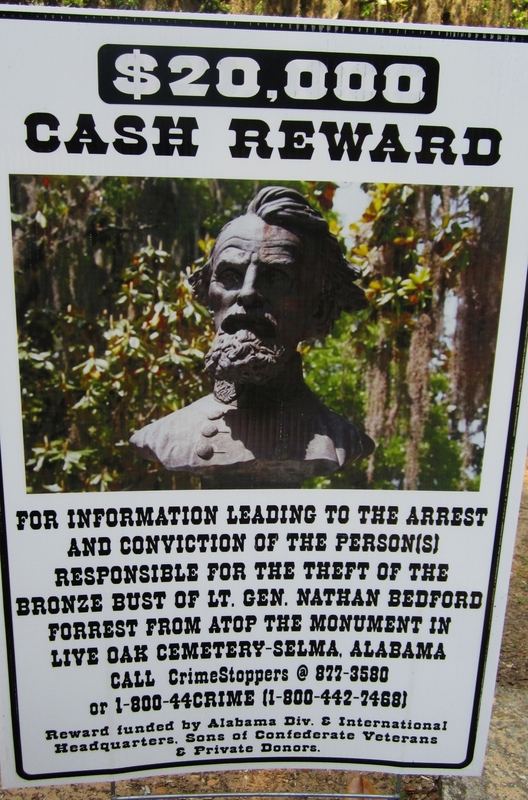 Good to know; If you are a poet, the 13th century poet who wrote Songs of Selma is called Ossian.